During my first ten days I enjoyed the Indian Summer, but as everyone said it would, winter arrived, almost overnight! Temperatures dropped by around 10 degrees celsius within just a day or two, and I even saw some rain. 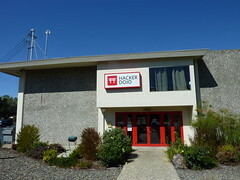 This week I started by trying to find somewhere to work in Palo Alto, but right now there’s no coworking space in the town, so I’ve joined up with Hacker Dojo in Mountain View. It’s cheap for the bay area, and although I’ve only met a few of the 300 members so far I’ve had some interesting conversations. Only two problems with the Dojo: it’s a rather unappealing industrial shed with few windows and it’s not the easiest place to access without a car, but nonetheless, it has good wifi, good people, and lots of space to work. I’ve been setting up networking lunches with LetsLunch as a way to broaden my network as well as going to some evening events such as 106 miles, Hackers & Founders and The Alchemist Series, to learn and network. Purely for learning, I went along to one of Stanford’s Entrepreneurial Though Leader Seminars which this week was by Marten Mickos, the former CEO of MySQL. “Entrepreneurialism is a belief system. Believe in yourself and what you do.” But he added, “You need someone who believes in you, even more than you do, and reminds you you are capable when you have self-doubt”. He talked of walking up in the morning and frequently questioning himself. This is similar to some very successful entrepreneurs I’ve heard talking about their fear of being “found out”. 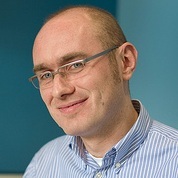 MySQL was a tiny European company taking on the mighty Oracle, and he gave this advice: “If you are a disruptor you must be bold and make fun of your competitors”, and gave the example of them awarding Oracle “partner of the year” at their annual conference. An Oracle representative had to reluctantly shuffle on stage to accept the award. Mickos also talked at some length about company culture, and the unique dispersed workforce at MySQL. He really believes in the distributed workforce, and says overall the benefits outweigh the disadvantages. But although a majority of their employees worked from home, “company culture is what drives and defines a business. Strategy without culture is meaningless”. To help bring people together they would do things like hold virtual Christmas parties over IRC. 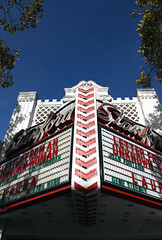 Finally, worthy of mention was a trip on Saturday night to the glorious Stanford Theatre on University Avenue in Palo Alto. It’s really hard to describe how wonderful this beautifully restored neo-classical cinema is! They even have a Wurlitzer organ and it’s quite a sight to see this and the organist rising from the floor as the curtain came down at the end of the show. He even played the theme tune from the movie we had just seen (Jason and the Argonauts). Link to Silicon Valley: it was none other than David Packard’s charitable foundation which bought and restored the Stanford to its former glory. This entry was posted on Monday, November 7th, 2011 at 7:17 am and is filed under Uncategorized. You can follow any responses to this entry through the RSS 2.0 feed. Both comments and pings are currently closed. Good post Scott. Really useful info to give insights on life in Silicon Valley. Looking forward to following your journey.